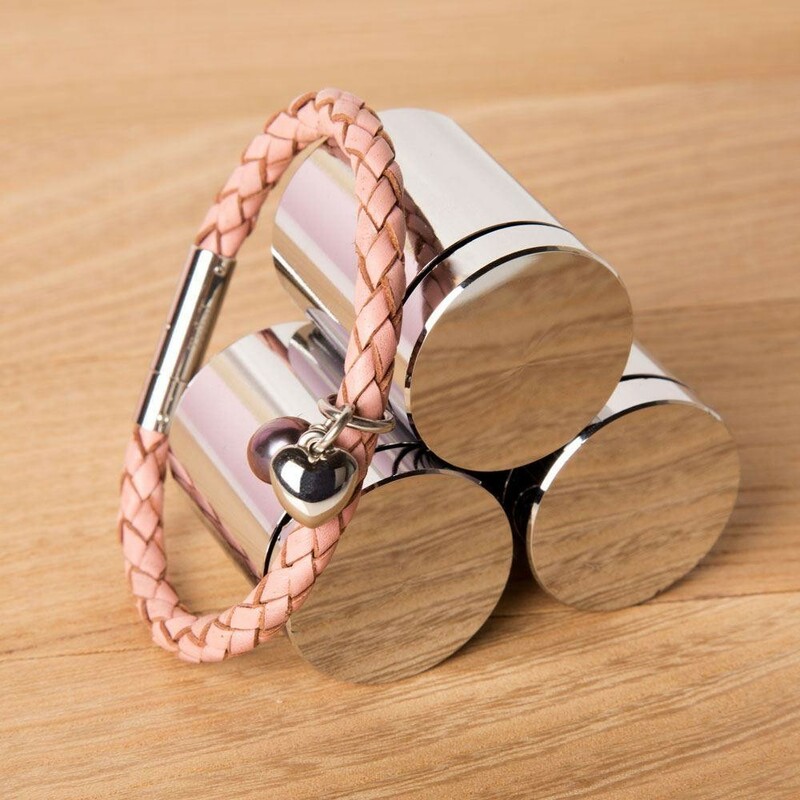 Any female would love to add this pink leather bracelet to their accessory collection. The leather is plaited to make the bracelet and it has a stainless steel heart charm and a purple fresh water pearl. It is easily put on and removed with a stainless steel clasp. Why not layer it up with other coloured bracelets to create a unique fun look (it also looks great by itself). It is perfect for casual day wear or formal evening wear. This gift is well presented in a branded gift box so can be safely stored away when not in use. Dimensions: Approx 18cm to fit any standard sized female wrist.